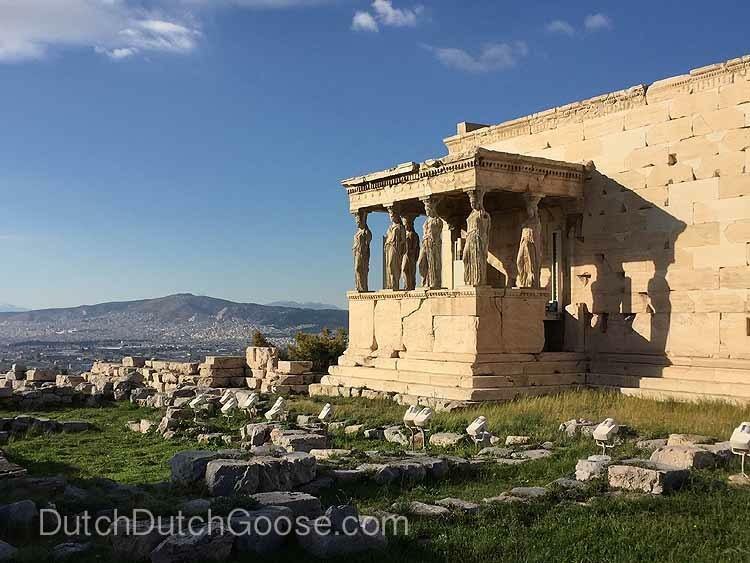 Our December cruise ship itinerary had us spending Christmas in Athens. During the planning stage we were concerned that there wouldn’t be much to do on Christmas Day in Athens. Bad weather in the Mediterranean, however put us in port a day early. We ended up spending Christmas Eve and Christmas Day in Athens, giving us plenty of time to explore. There are three hop-on hop-off bus companies that operate in Athens. (A blue one, a red one and a yellow one!) These buses run whenever there is a ship in port. As far as we could tell this would be our only option for Christmas Day since everything else was closed. We contacted multiple travel companies and each said they were closed too. We pre-booked tickets for the CitySightSeeing bus (the red one) prior to our cruise. The tickets are all good for 48 hours though so despite arriving a day early in port we had access to the bus for our two-day visit. 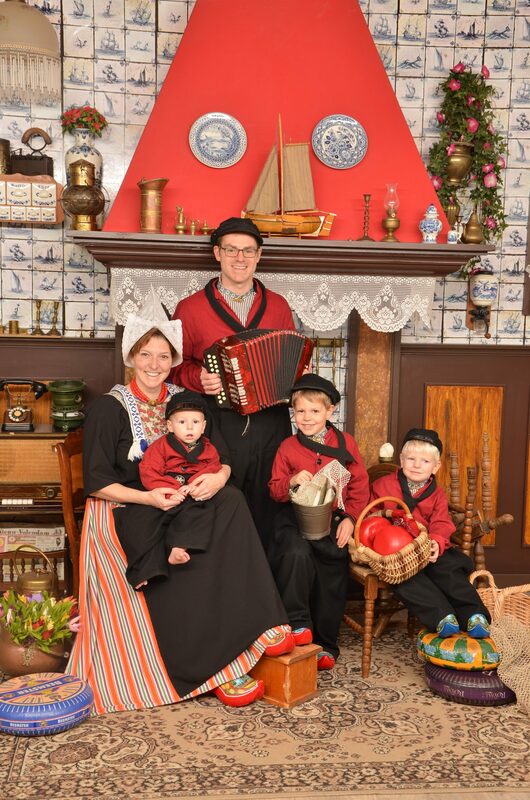 All of the historic sights are closed on Christmas Day but open Christmas Eve. The extra day in port gave us (and everyone else on board) the gift of visiting the Acropolis. The CitySightSeeing bus tour runs two lines, one that went from the cruise port to the Acropolis where you changed lines to one that took a circular-ish, anticlockwise path around Athens. We hopped off at the Acropolis and headed to the ticket counter. Prepare for long lines. There is only one booth with two workers where you can get tickets and everyone needed tickets. The automatic pay machines were not working. One line was cash only but no one seemed to know this until they got up there. (Coming from the Netherlands where things are typically quite efficiently run, this sort of inefficiency makes me batty.) Once you get your tickets you head to the entrance gate to scan them and go through turnstiles. It takes several scans to get your ticket to click…so another backup. Sigh. Despite the crowds waiting for tickets once you are inside the archaeological area there is plenty of room to explore. We easily spent most of our day exploring the different areas. This is not a stroller friendly visit. You’ll want carrier options for little ones as many of the steps are steep and the ground is incredibly uneven. Parts of the Acropolis are under construction and one face of the Parthenon is covered in scaffolding. Signs are posted in multiple languages telling you about the site and the many changes that have been made to it over the years. The current work is intended to stop damage done as a result of earlier reconstruction work. The backside of the Parthenon though remains completely untouched and perfect for photos. The views from on top of the Acropolis are stunning. The cool winter weather makes it easy to enjoy the hilltop and the light is quite lovely. We were glad to have two carriers with us. It was easier to get up the uneven stairs with the Middle Little as well as the Little Little contained. Several cats seem to have made their home up here as well. The cats were, of course, a favorite of our children. The Big Little is just starting to read Harry Potter with us and insists these cats are Professor McGonagall checking in on us. The Erechtheion temple was one of our favorites. The detail that remains is stunning. This temple was dedicated both to Athena and Poseidon. We all fell in love with the “porch of the maidens” and the way the light was hitting them on Christmas Eve. There are so many pieces of these sights that still lay scattered around, it’s incredible to think of everything that stood on this hill over the centuries. My sister and I had to grab our picture with these amazing ladies who’ve been holding up this temple since around 421 BC. We stayed up top exploring and peering onto the land below for much of the afternoon. This is seriously one of those places where you just feel like you should keep taking photos! It’s hard to fully grasp the history in front of you and the people who have walked on the same ground for generations. Archaeological ruins surround the hill. You can easily hike down multiple different paths to check them out on your way out of the archaeological site. As you hike down the hill don’t miss the Theatre of Dionysus. Dionysus is the god of plays and wine. This is thought to be the first theater ever built and the birthplace of Greek Tragedy. We exited through the far gate (SE) and were immediately greeted by street vendors lining the main road back to the bus stop in front of the Acropolis main gate. We stopped to buy an assortment of warm nuts. They were delicious. The perfect Christmas Eve treat. We took the bus back to the boat, giving us a bit of down time before dinner. Jeff stayed behind to explore a bit on his own. He walked around the city and enjoyed the freedom of walking the city without kids. The next morning we took on Christmas in Athens. We boarded our hop on, hop off bus and headed back to the Acropolis parking lot. We got off there and headed down the main drag. We found it again lined with street vendors and stopped to try nearly every type of treat we could find. We found many Athenians out enjoying Christmas in the city, so there were plenty of places to grab food and drink. Athens has plenty of sights that can be seen walking around or from the bus. We walked to Hadrian’s Arch and enjoyed the view from beneath it. We peeked in at Zeus’s Temple through the gates. The view is nearly as good as from the visitors pathway inside the gates so save yourself the admission price. We had a stunning view of Zeus’s Temple the day prior from atop the Acropolis. There is something immensely satisfying about viewing the pillar that fell in 1852 in a windstorm (photo above, between the two standing pillars on the right side of the photo). It is perfectly laid out, each of its stone sections neatly separated. The National Garden and park is just around the corner. We poked in there to let the kids run around. It’s lovely and had we had more time we certainly would have spent longer exploring the National Garden. The park was full of families enjoying the family day. The sunshine also made it perfect walking temperature. We continued to walk/take the bus around the city. We found ourselves in a bustling square and couldn’t resist the local doner kebab place. We sat on the wall enjoying our food with the rest of Athens. There were street performers and vendors everywhere. The only thing we couldn’t find was a sparkling water. No joke, sparkling water seemingly isn’t sold in Athens. We continued our walk around the city trudging up the back side of the Acropolis on a car-free walking path. Here we found ruins strewn throughout the grass and passed by several other historic sights like Hadrian’s Library and the National Observatory. This path took us back to the central bus stop in front of the Acropolis. We bused back to the ship and enjoyed a beautiful sunset as we left Athens on Christmas Day. If you end up spending Christmas in Athens know that there is plenty to do. Although nothing is “open” the city is alive. You can follow the Rick Steve’s walking tour or just explore the town on foot. You’ll find plenty of food options and amusements. The hop-on hop-off bus is also a great way to get around and see most of the city. Whatever you do, you do not need to worry that you will find yourself wandering alone in town with nothing to see. Athens is a wonderful place to spend Christmas Day.